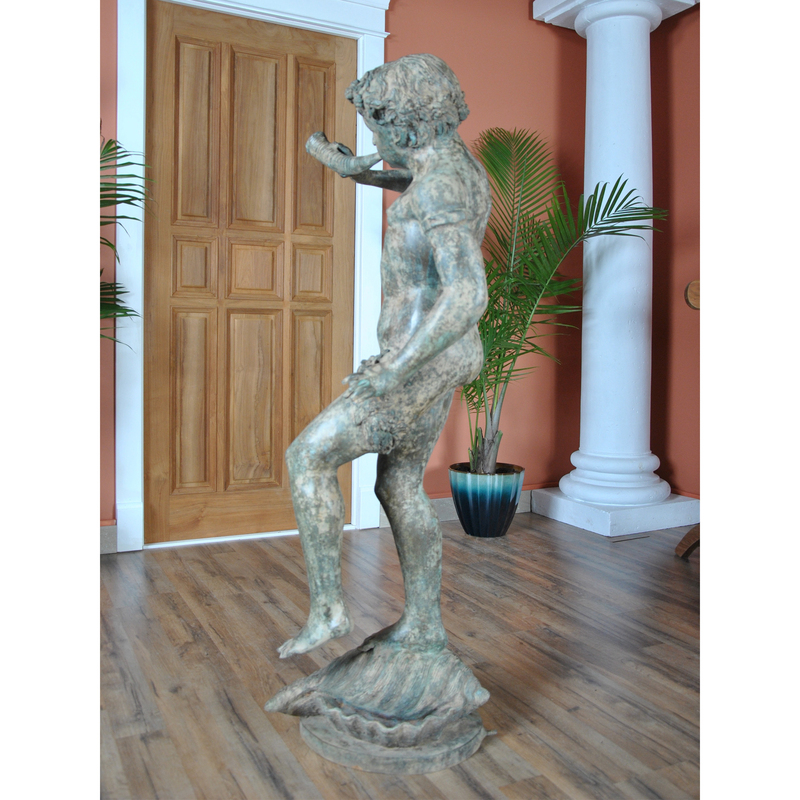 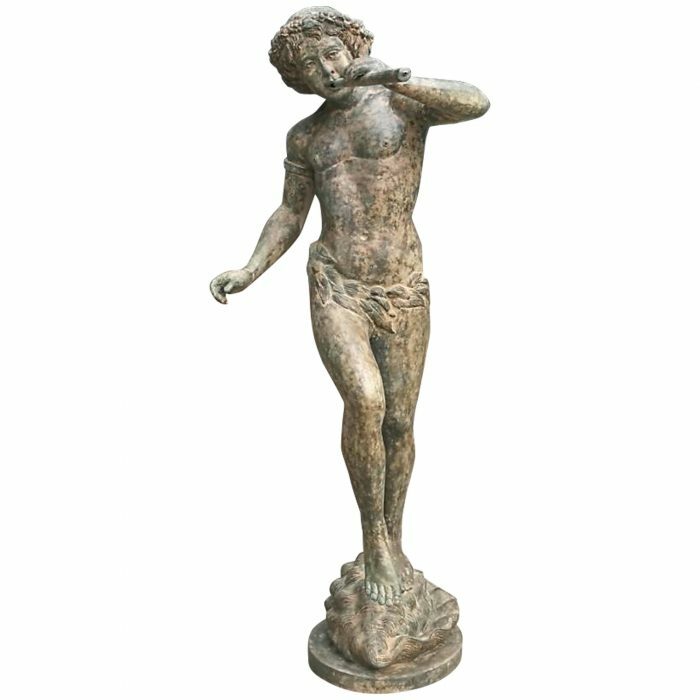 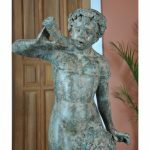 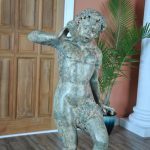 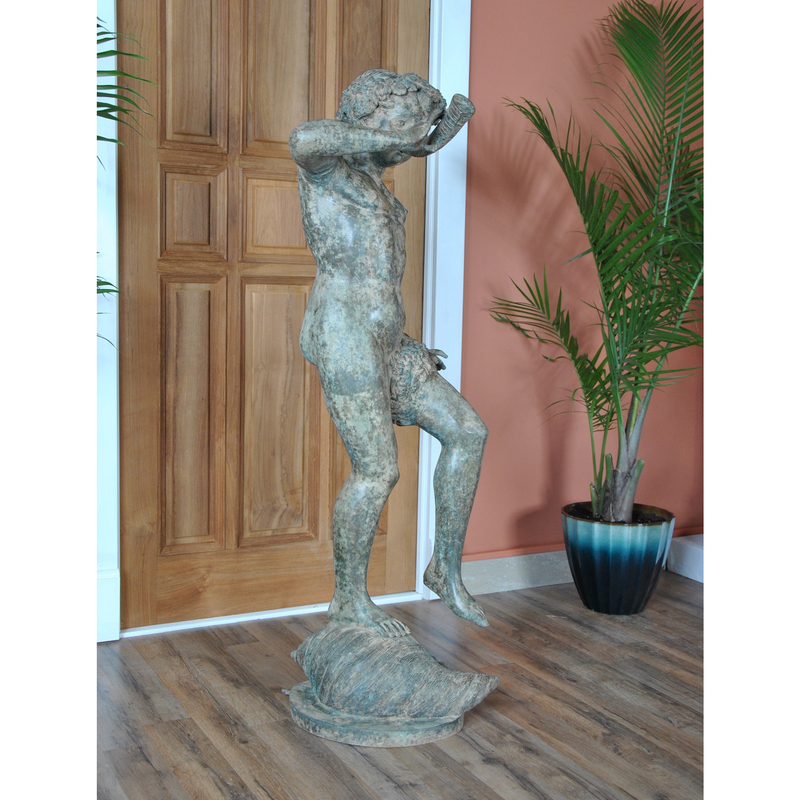 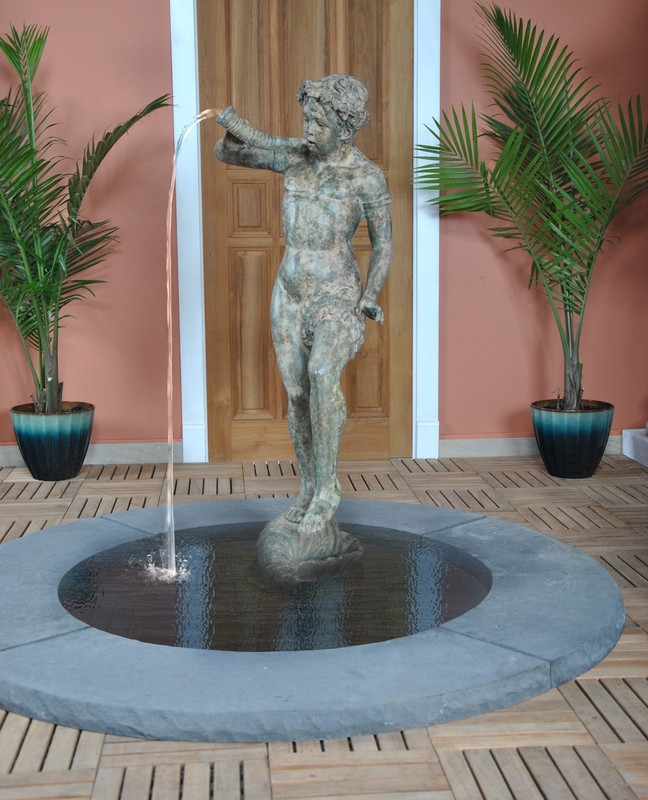 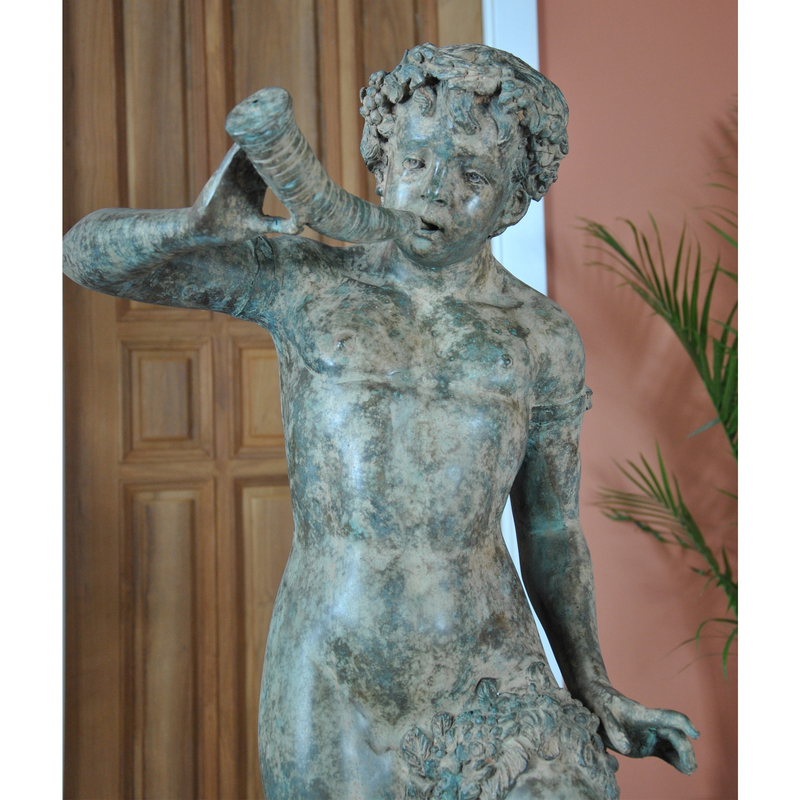 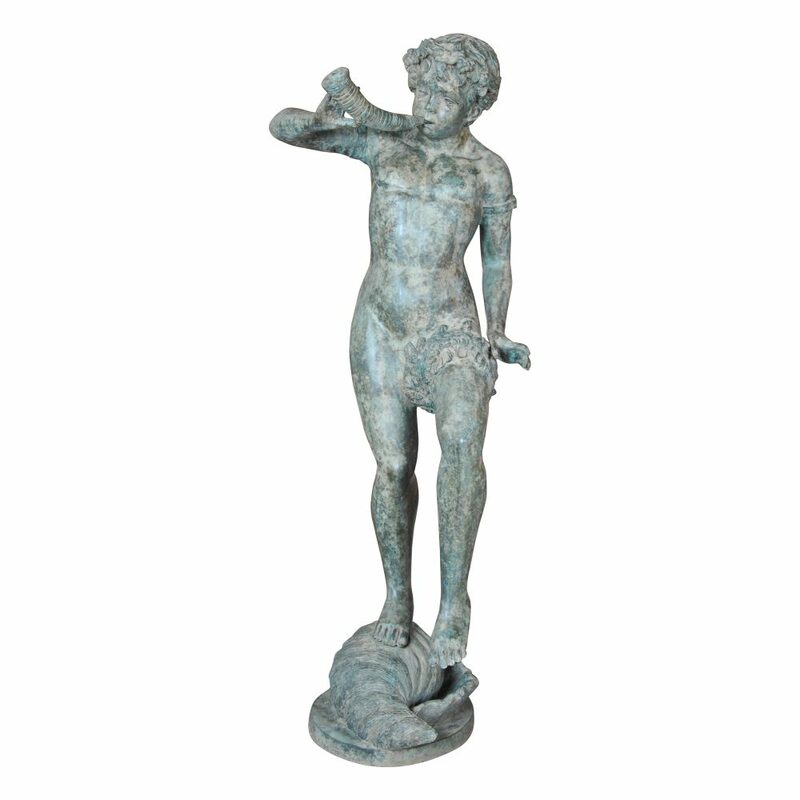 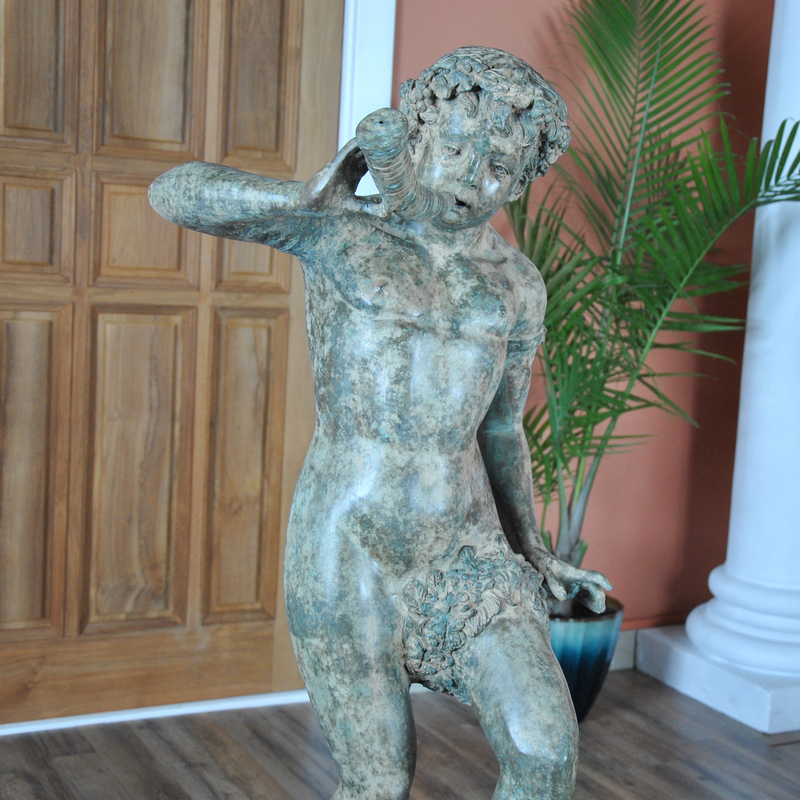 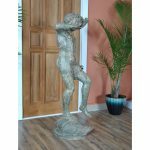 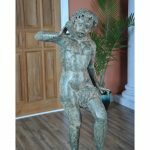 Meticulously hand crafted this lovely figure of a Bronze Boy with Horn Fountain makes for a wonderful water feature. 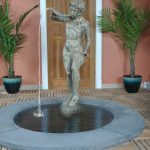 Standing approximately 52″ tall the Fountain features a classically styled young man playing a horn from which water will flow when properly installed in a pond with a pump. The human figure decorated in garlands and perched atop a large seashell to add a further level of interesting detail, the entire item being finished and decorated all around to give a great visual experience from every possible angle. 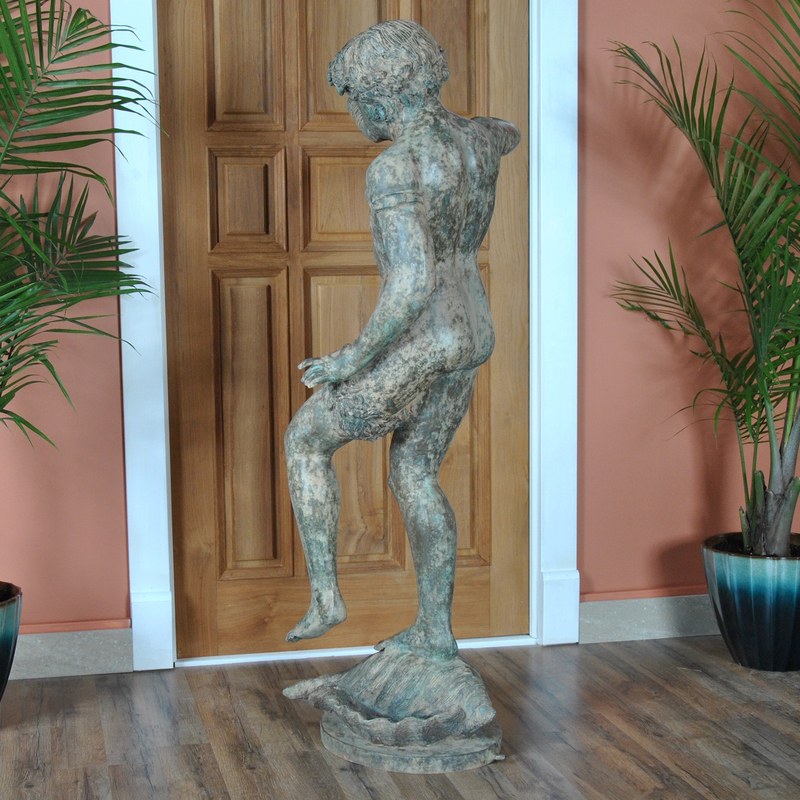 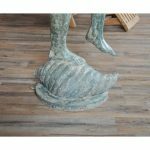 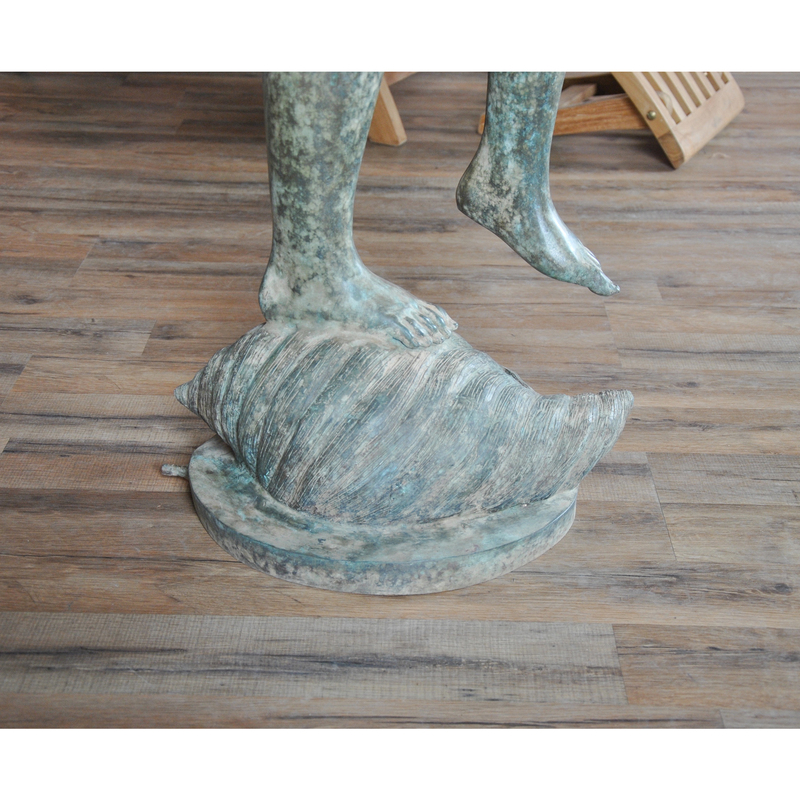 The rich shades of green resemble the natural patination process which develops when bronzes are left outside for generations, thus giving our statue the look of a beloved antique item that has been in place for decades. 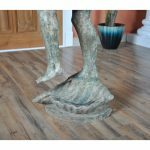 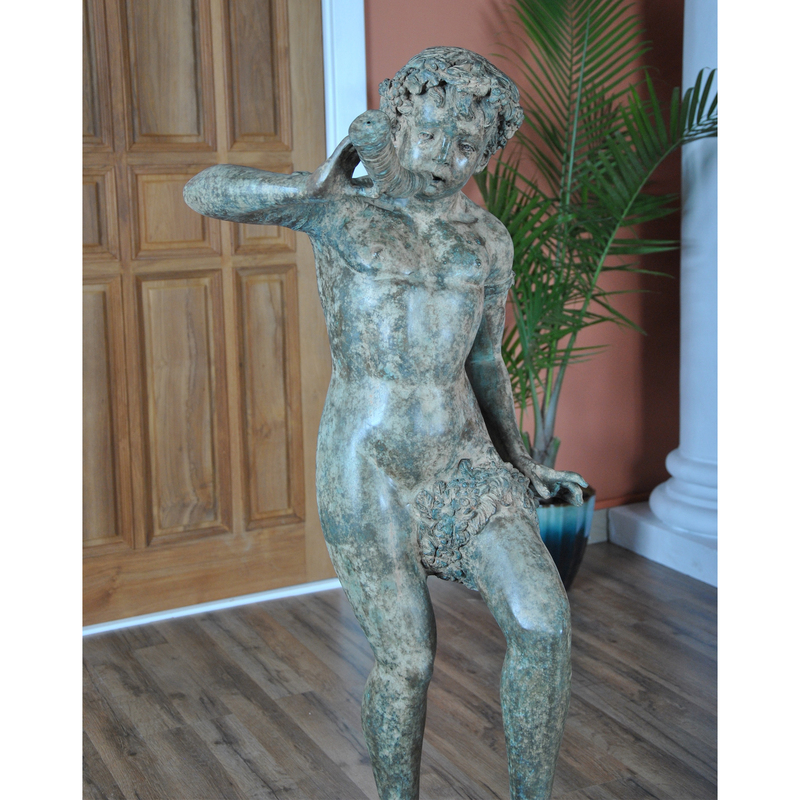 Ideal for display in the garden our Bronze Boy with Horn Fountain will also be at home in larger indoor spaces as well.